The Jangurussu area was used for many years as an informal landfill, receiving over 3,000 tons of garbage every day. Fifteen years after the closure of the site, groundwater remains contaminated, affecting the nearby River Coco. 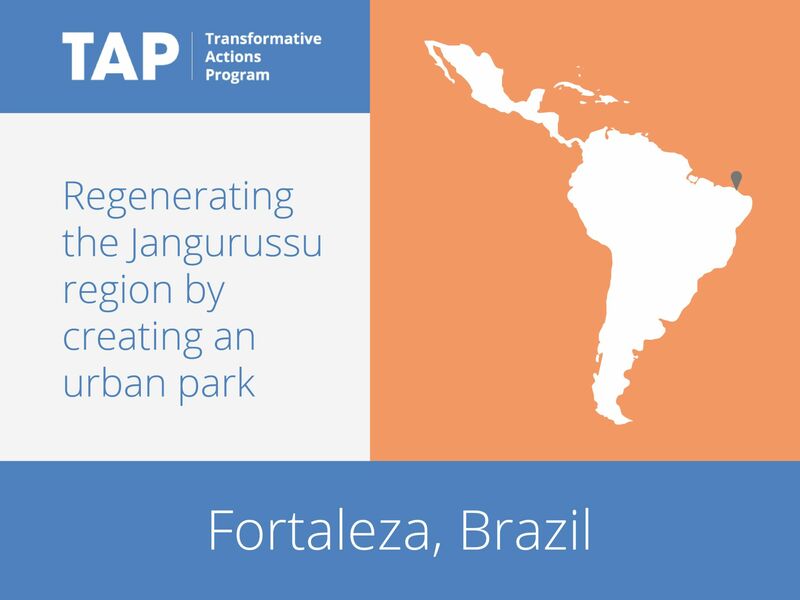 Fortaleza has therefore developed the Sustainable Urban Complex Jangurussu project, which will transform the former landfill into an urban park. The park will cover an area of ​​approximately 108 hectares, engaging the surrounding community and creating jobs as well as benefiting the environment.